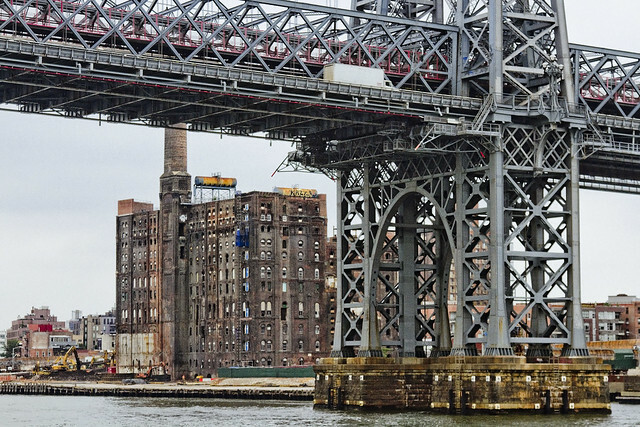 The modern day East River in today’s post, which bums me out. One such as myself once absolutely loved the idea of riding the East River Ferry. As a matter of fact, I seem to enjoy all ferry rides, presuming that the deck is accessible and amenable to photographic pursuits. These days, the actual experience of doing so brings on depressive episodes. One of the problems with the “historian” point of view is that you tend to realize that whatever rises must also fall, and that bills must ultimately be paid. That is why we all toil and labor, to service debts, and the City of New York is currently racking up a hell of a tab. 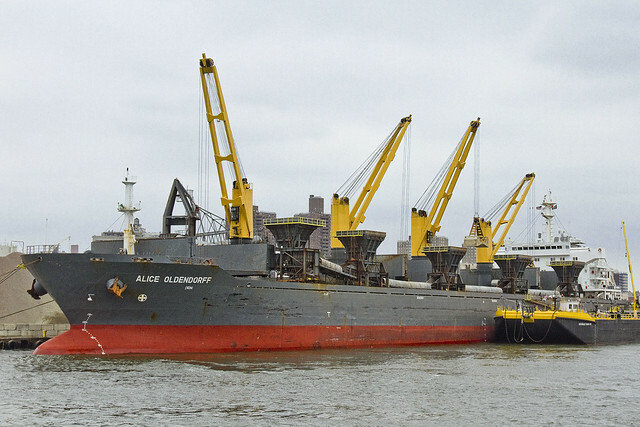 Recently, the Alice Oldendorf bulk cargo ship was observed at work, making a delivery to a concrete plant at the Brooklyn Navy Yard as I rode the aforementioned ferry. The ship hosts a series of cranes and conveyors which unload her holds, producing the cyclopean mounds of sand and gravel witnessed above. It’s nice to know that at least some part of ancient Williamsburg still hosts a working waterfront, or at least a working waterfront that is engaged in the production of something other than artisanal pickles. 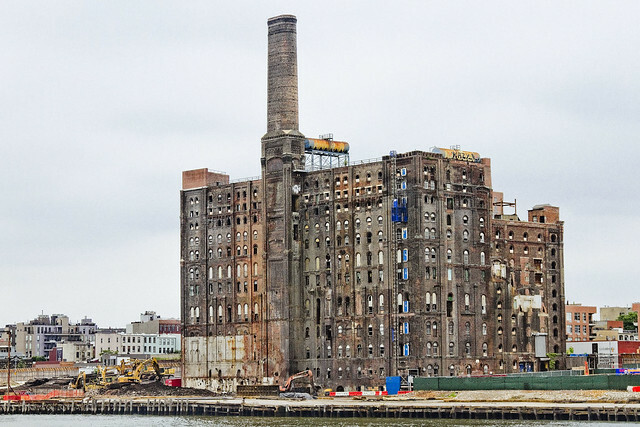 One cannot help but drop his jaw whenever the former Havemeyer or Domino Sugar plant site comes into view. It is being redeveloped as a residential structure – more luxury condos for the children of the rich to dwell within. 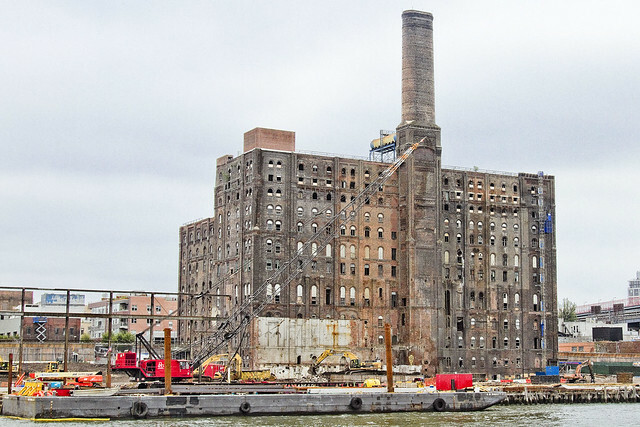 The question of what will happen to these structures when NYC slides backwards into an era of degeneracy and decay is one few ask. Any historian will tell you that it’s a cyclical thing here in the megalopolis, one that flips back and forth on a roughly forty year cycle which can be directly correlated to rates of crime, and that the City’s current upswing began in the late 1990’s – reversing a decline process that started shortly after the Second World War. Rich people tend to move away from the City center when things get hairy. The rest of us are kind of stuck here. Williamsburg is officially lost as a point of interest for me. 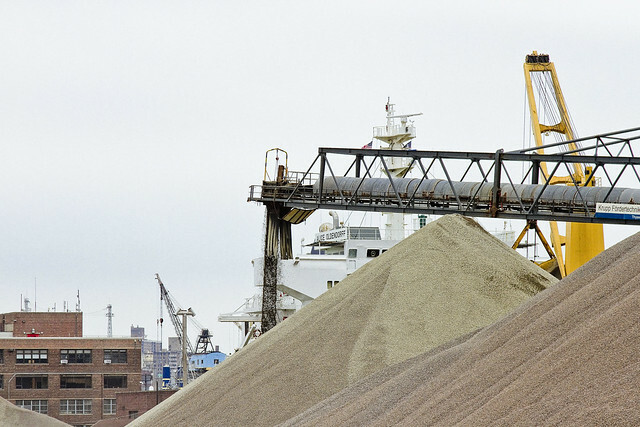 Bland boxes of steel and glass will extend all along the East River soon enough, stretching from the former industrial heartland once called “America’s Workshop” in Long Island City all the way through the Gold Coast of North Brooklyn to the Williamsburg Bridge. Criminals are already beginning to focus their attentions on this area, just as they did in the age of industry. Why? Because predators go where the prey is. It’s cliché to even comment on it anymore, one realizes. Scenes long familiar, lost. The wilderness of the oligarchs is upon us, and deep in the woods – wolves howl to celebrate and delight. The nobles will be safe in their keeps, but the peasants – we’re on our own. As detailed in this recent post, my camera was destroyed in an accident. For those of you who have offered donations to pay for its replacement, the “Donate” button below will take you to paypal. Any contributions to the camera fund will be greatly appreciated, and rewarded when money isn’t quite as tight as it is at the moment. You are not a peasant.